Well my xds has been starting sluggish after its warmed up and today i went for a rip its about -5 here...shut her off and wouldn't start....had to get a boost..
You wouldn't think a boost would help if it was a starter? Yeah these things don't start well when warm...my other Mav did the exact same thing when I first had it I just think the batteries they put in these machines are crap. Has anyone tried a better battery yet? All my passengers look at me funny when I start this thing when its warm. Its goofy for sure..
2014 MAVERICK MAX XRS DPS WHITE/BLACK/RED. UTV INC ROOF, AXIA MIRRORS CENTER & SIDE, DALTON CLUTCH KIT, LOCK UP MOD, GATES CARBON BELT, ALBA RACING CVT TEMP GAUGE, AIRBOX HI-FLOW MODS, EVO CAT DELETE, LTE EXHAUST CANS, EVOLUTION STAGE 3 ECM REFLASH, TURNKEY & CT FRONT FRAME BRACES, TURNKEY DELRIN FULL BUSHING KIT, H/D FRONT TIE RODS, SUPER ATV HI-CLEARANCE FRONT A-ARMS, H/D REAR RADIUS RODS, RACER TECH DUAL RATE SPRINGS, SHOCK THERAPYST FOX REVALVE MODS, REAR A ARM GUARDS, RED UNDER BED/HOOD PANELS, TURNKEY BAJA REAR BUMPER W/ RECEIVER, DRAGONFIRE FRONT BUMPER, EMP HALF WINDSHIELD, BILLET SHIFTER KNOB, NOISE/HEAT BARRIER LINED CONSOLE PANELS, THERMO HEAT-WRAPPED EXHAUST HEADERS, KOLPIN REAR STORAGE BOX, 50A FUSED LOAD CENTER, BATTERY MOD 26R, HID 4 HEADLIGHT CONVERSIONS, 40" LED LIGHTBAR, 12" LED LIGHTBAR, DUAL HORNS, DUAL LIGHTED WHIPS, DRAGONFIRE HIBOY DOORS/GRAPHICS. DRAGONFIRE HARNESSES/BARS, 29X14 BIGHORN TIRES ON STI HD4 WHEELS. 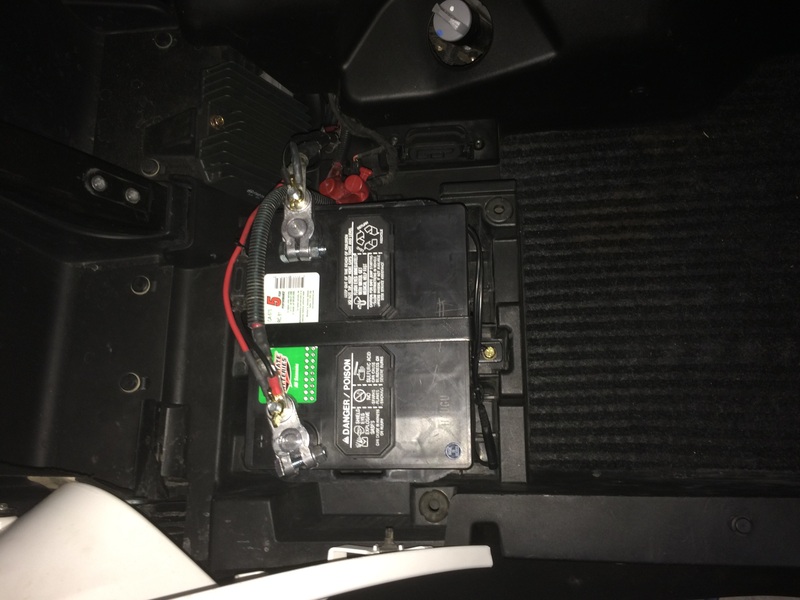 I do not feel that its right to have to put a better battery in at my own expense...maybe iam asking to much but i should be able to start my new $25000 buggy with the factory battery if not me and can am is gonna have long conversation. this week when I take my machine there to get the oil line replaced.